Very Good. Text in French, English. Trade paperback (US). Glued binding. 120 p. Contains: Illustrations. Our Garden Variety. The simple guide for first-time bonsai growers, with easy instructions and more than 200 full-color photos and drawings, covers selecting a hardy specimen, and the essentials of pruning, wiring, aging, and keeping your bonsai healthy. 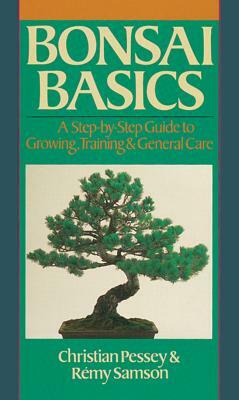 Learn the many styles of bonsai shaping, important tree forms, forest groupings, and more. Good. Text in French, English. Trade paperback (US). Glued binding. 120 p. Contains: Illustrations. Our Garden Variety. The simple guide for first-time bonsai growers, with easy instructions and more than 200 full-color photos and drawings, covers selecting a hardy specimen, and the essentials of pruning, wiring, aging, and keeping your bonsai healthy. Learn the many styles of bonsai shaping, important tree forms, forest groupings, and more. Good. [ No Hassle 30 Day Returns ] [ Edition: Reprint ] Publisher: Sterling Pub Date: 6/28/1993 Binding: Paperback Pages: 120.